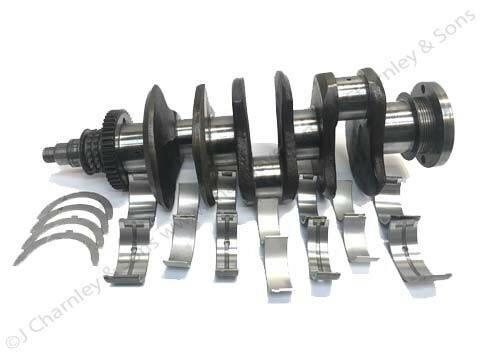 AMK1897R / 98G150R CRANKSHAFT. 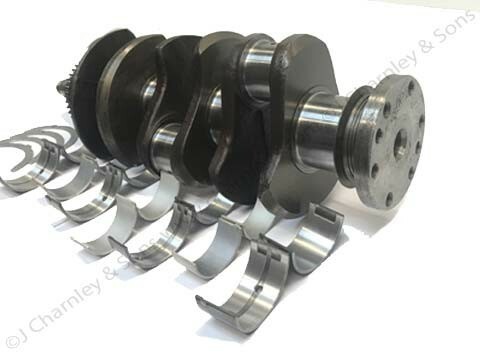 Reconditioned Crankshaft complete with bearings. For Nuffield tractors with BMC 2.6 or BMC 2.8T 3 cylinder engines. 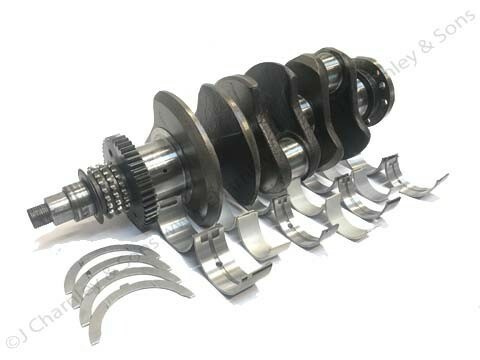 This crankshaft comes complete with 8G2369 Big end bearing set, 8G2367 Main bearing set and 37D154/37D155 Thrust washer set. 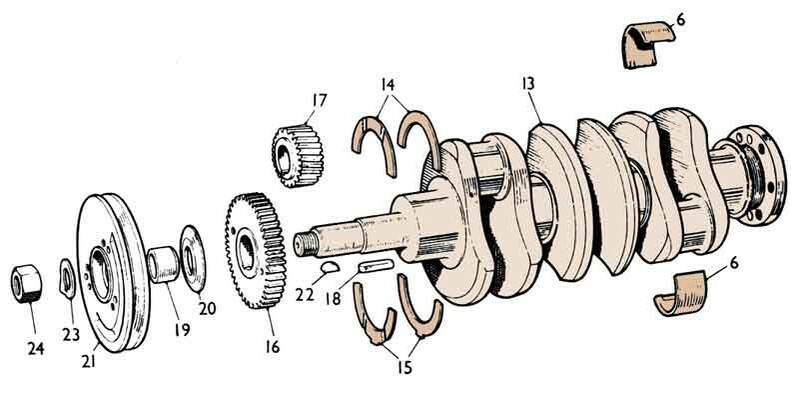 See items 13, 6, 14 and 15 in the illustration. Please note: This is a reconditioned/exchange part. In order that we can continue to supply these reconditioned parts we require your old unit in exchange. A surcharge is payable on ordering which we will then refund if you send us your old unit. Don't worry if you don't have an old unit to exchange, you can simply pay the surcharge. Please contact us for terms and more information.